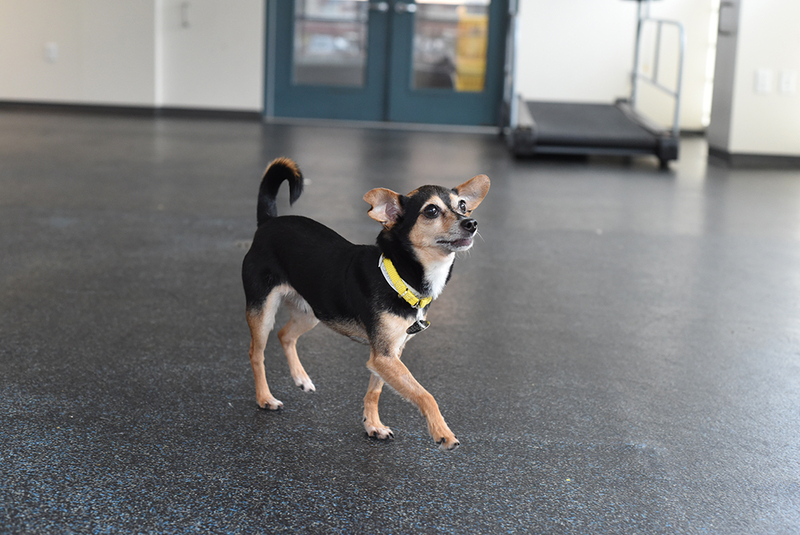 Bunky’s journey was a tumultuous start as he bounced between households, but the sweet dog always kept his peppy spirit and sunny outlook that somewhere, a loving pet parent was waiting for him. Angie R. is someone who has also been through many difficulties in her life. In March 2014, Angie’s fiancé lost his battle with cancer. In this time, she leaned on her dog, Stitch, for support through the grief. Stitch and Angie supported each other with love and devotion through the sadness of loss. Unfortunately, Angie suffered more heartbreak when Stitch passed away in 2016 after 14 wonderful years together. Concerned about senior Stitch’s approach to rainbow bridge, Angie’s fiancé had always told her that, when that time came she should “adopt and share the love with another dog.” To honor both Stitch and her late fiancé, Angie decided to do just that and began to browse the ASPCA website for adoptable pups in November 2016. That’s where she saw Bunky. The ASPCA first met sweet Bunky at the ASPCA Animal Hospital (AAH) in May 2009. At the time, Bunky was suffering from a broken leg and his owner chose to surrender him due to his injuries. Once in our care, Bunky was soon on the mend and became available for adoption. Just a few months later, Bunky found a loving home, but sadly, was returned seven years later due to a change in his owner’s circumstances. 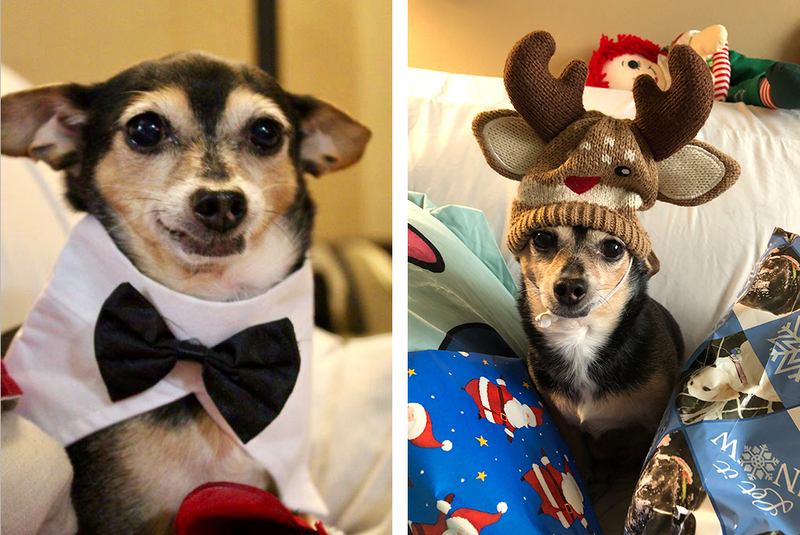 The small spunky dog was adopted again in September 2016 but was returned after just two months. 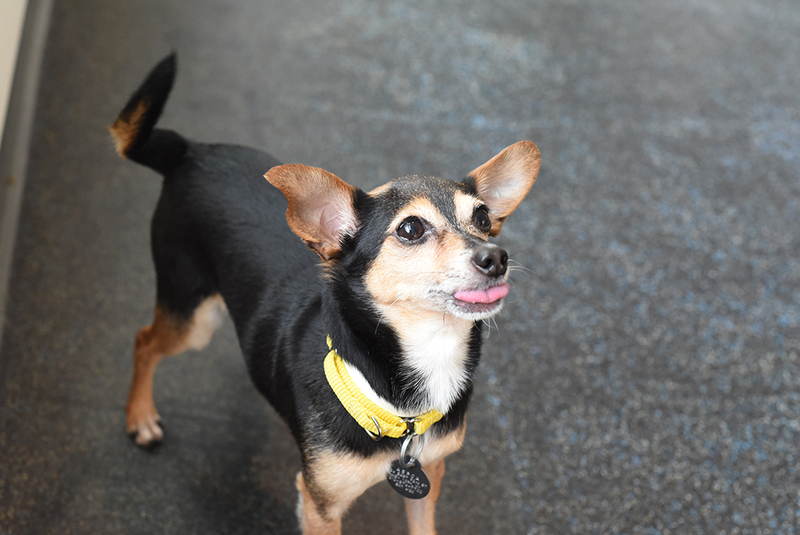 Now a senior dog, Bunky was on the search for a stable home with a devoted adopter—enter Angie! Angie felt that she could relate to the senior Chihuahua-mix, having entered Child Protective Services twice as a child. It seemed that Bunky and Angie were true kindred spirits. The adoption became official in November 2016. 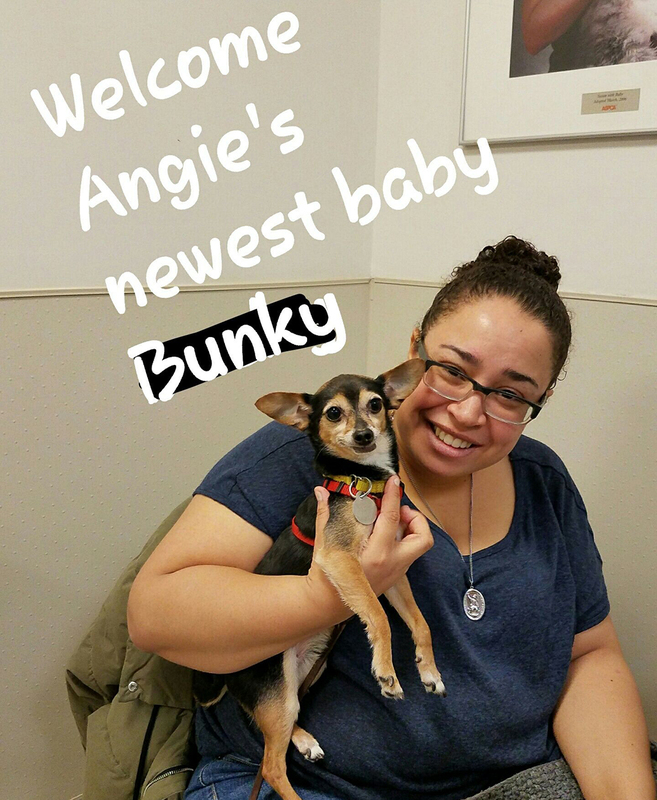 Naturally, it took some time for Bunky to settle into his new home, but Angie was calm and patient. 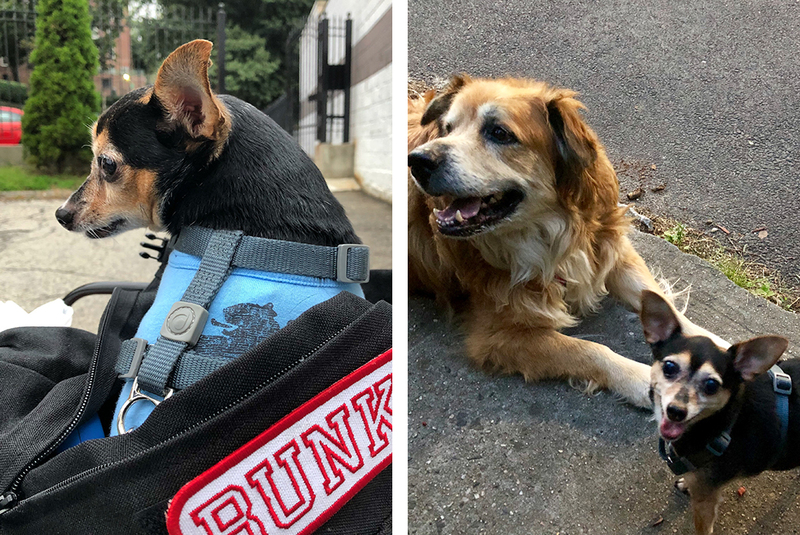 Not knowing what Bunky’s life was like in the years before she met him, Angie knew that even as an avid dog-lover, there was still a lot for them to learn about each other. Sweet Bunky is now living the good life in a home with an adoring mom and is becoming quite the local celebrity. 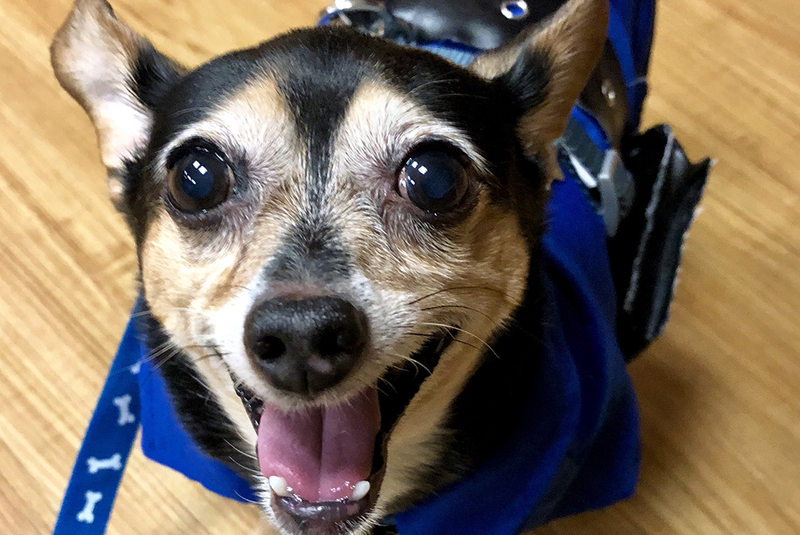 Angie continues to “share the love” in her life and advocates to Make Pet Adoption your First Option® on an Instagram® account she created for Bunky. You can even follow his adventures: @bunky_the_rescue_dog.